The very essence of this retreat is about restoring balance. We all get a little out of balance at times, as life gets busy and sometimes our own well being and self-care practise falls to the very bottom of the list. 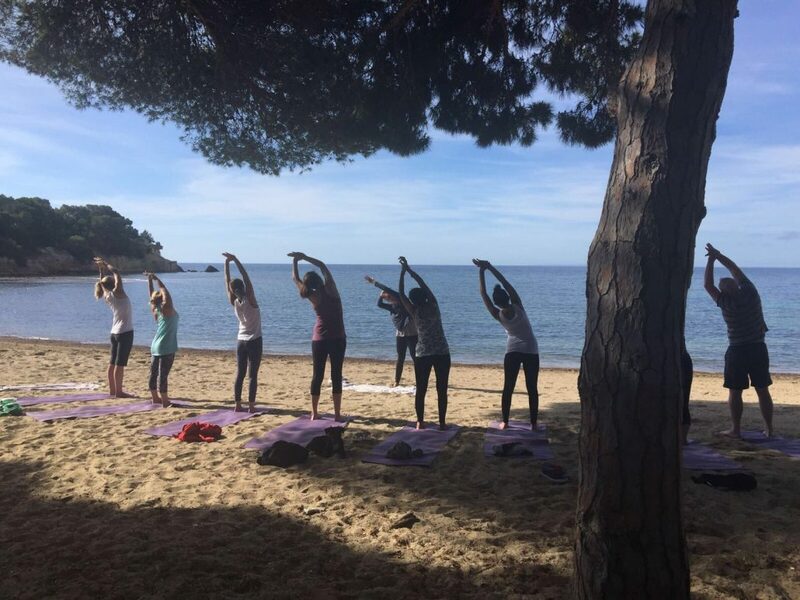 We have created our Rejuvenate retreat to bring back that sense of balance – and to get your mind, body and your SOUL into a present and loving state – to empower you on YOUR life journey. * Come back to your practise. Having a practise can slip to the bottom of the list when life gets busy and it’s such a vicious circle. In fact, making time for the practise is an incredible anchor when life around you gets tough. Taking this time for yourself every morning, BEFORE you offer your energy elsewhere, can help you create the space and self-care that you need to re-energise your entire system. We know it’s hard, but even when you are really busy and you feel like you just don’t have time – MAKE THE TIME! Even a 15 minute meditation and body opening practise will empower you and give you more energy. * Move your Body. Our bodies are healthier and fitter when we circulate and shift energy and keep them moving! Even if full on cardio classes or running is not your thing, find something your body likes and try it! Dancing, walking, yoga, playing a sport – all these activities are so important for our body-mind fitness and you’ll release those natural endorphins which make you feel so good after any movement activity. There is great power in strength and taking care of our bodies and making them feel strong feels really good. * Eat Clean. All the quick-fix processed foods, sugars, caffeine and other ‘crutches’ that we use when we are busy and ‘up against it’ add to this sense of heaviness and lack of energy. Fuel your body with as much fresh food as possible – even when you are on the run. Avoid reaching for the unhealthy snacks that play havoc with your energy systems and leave you feeling (after that initial fix) pretty horrible actually. You really are what you eat and we focus our programme on stripping out all the stuff we don’t need and replacing it with lots of healthy, energising options. * Be conscious. Begin to be aware of how you communicate in all your personal relationships . -and clean this up too! Often, identifying where the energy drains are in your life can be a really positive way to prioritise and focus your energies on what GIVES you energy back – and gives you the energy you need to go smoothly through your life. Here are some tips to being more conscious. – Set an intention for your day and take a moment of gratitude for what you have. Even if this feels hard, make the effort to find the attitude of gratitude – even for the most tiny things. – Move slowly and mindfully – even when you feel rushed. Calm you breath and slow it all down. Often your mind is what wants to run and this is because your system is on ‘fight or flight’ mode. – Notice your surroundings – the nature (even if you are in a city!) and its luminosity. It’s there! You just have to look a bit harder for it sometimes. – Fuel your body with good energy. You can make better choices and this is down to you. Empower yourself! * Be kind. Don’t give yourself a hard time. You are only human! Treat yourself with the same love and respect that you would a family member or dear friend. Remember the journey and not the destination. If you would like to join us and start your journey to rejuvenation, check out our upcoming Rejuvenate retreat dates here.